Investing in your child's smile from infancy to kidults. We strive to provide excellent care and nurture a lifelong healthy and radiant smile with compassion and integrity. Just as it is with horses, kids don't care how much you know until they know how much you care. Welcome to Kids to College! At Kids to College Pediatric Dentistry, we serve kids from infancy through adolescence to “kidults.” We believe in your kids. We know it’s a privilege to participate in a child’s development and are invested in watching them grow through the years into young adults – and we love seeing them smile! We strive to provide excellent care and develop a lifelong gorgeous and healthy smile with compassion and integrity. Just as it is with horses, kids don’t care how much you know until they know how much you care. With two locations, we proudly serve Littleton, Ken Caryl, Morrison, Evergreen and the 285 corridor. Dr. Courtney College is a Board Certified Pediatric Dentist and a Diplomat of the American Board of Pediatric Dentistry. 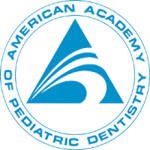 She and her associate Dr. Marcie Flack maintain memberships with the Colorado Academy of Pediatric Dentistry, American Academy of Pediatric Dentistry, American Dental Association, Colorado Dental Association, Metropolitan Denver Dental Society, and Southwest Society of Pediatric Dentistry. Dr. Courtney College has served on the board for Kids in Need of Dentistry and has been a volunteer for that organization since she started practicing children’s dentistry. By way of peer recognition, Courtney has been recognized as one of 5280 Magazine’s top pediatric dentists every year since 2008! We hope you will find these pages helpful, informative and fun. We offer answers to many questions that you may have regarding children’s dental health. We also invite you to come by our office with your child(ren) to meet us, take a tour, and receive a special goodie for stopping in to say hello. Please feel free to contact us with any further questions that you may have. We are truly looking forward to meeting you and your family! Our office files electronic insurance claims on your behalf for any dental insurance plan, and we are Delta Dental Premier providers, as well as Medicaid and CHP+ providers. We accept cash, checks, Visa, MasterCard, Discover, American Express and CareCredit. We can now also accept balance payments securely from this very website! We have Spanish-speaking staff for those who need bilingual help. Dr. Courtney College, Dr. Marcie Flack & the whole herd of us! Use this form when you’re coming from elsewhere with records. Use this form if someone other than parent or guardian is bringing your child. To serve you and all of your children's dentistry needs.